After a LOT of days of hot humid weather, this morning was a welcoming break. I was outside working in my butterfly garden at 6:30!! No mosquitoes, a nice cool east breeze and this cloud to the north rolling in. It looked like it could be packing heavy rain and wind, but thankfully we received just less than 1/2″ of rain, no wind. The day stayed cool until around 3 and I was able to spend that time outdoors. I’m so much “nicer” when it’s not hot! I know, summer has just started, but I’m the spring/fall type. 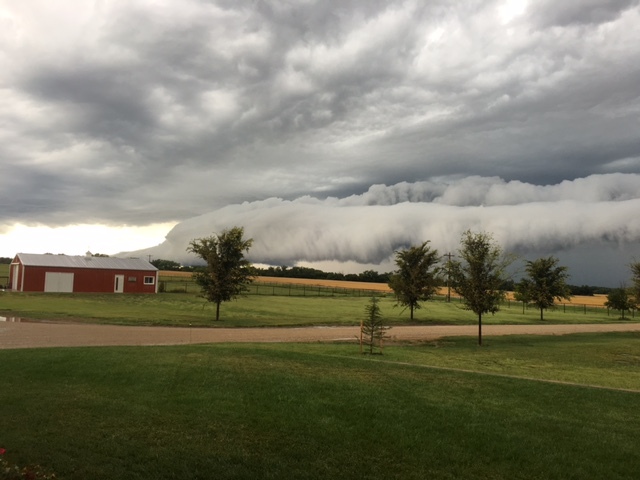 This entry was posted in Farm and tagged Kansas, storms on June 28, 2016 by Debra Farmer. 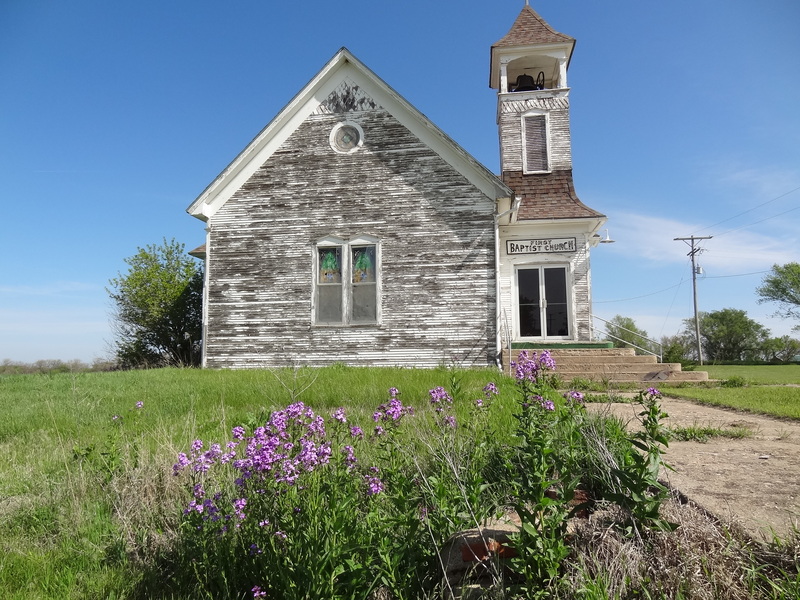 As I travel around the backroads of Kansas, I’m amazed and sometimes saddened by all the churches. Some are closed and in ruins, others are still holding services. This will be a multiple collection of all denominations and will include rural, ghost town churches and small town churches. 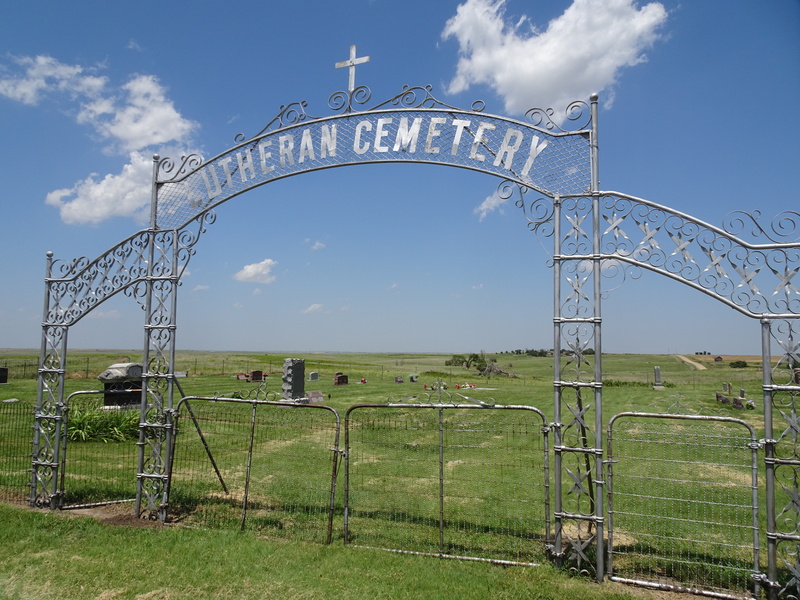 This entry was posted in Day Trips and tagged Churches, Kansas on June 12, 2016 by Debra Farmer. The day started early, well not really as I’m always up by 5:15, I love mornings. At that time of day, all I hear are birds, occasionally coyotes, I certainly miss my rooster crowing. A friend from town brought out a young rooster that someone couldn’t keep, but he turned out to be a she. She’s a nice young hen, makes a great addition to the flock, Max is now Maxine, still looking for a rooster. I was happy when I heard the bobwhite quail this morning, I was worried that they were in the brome that was cut. 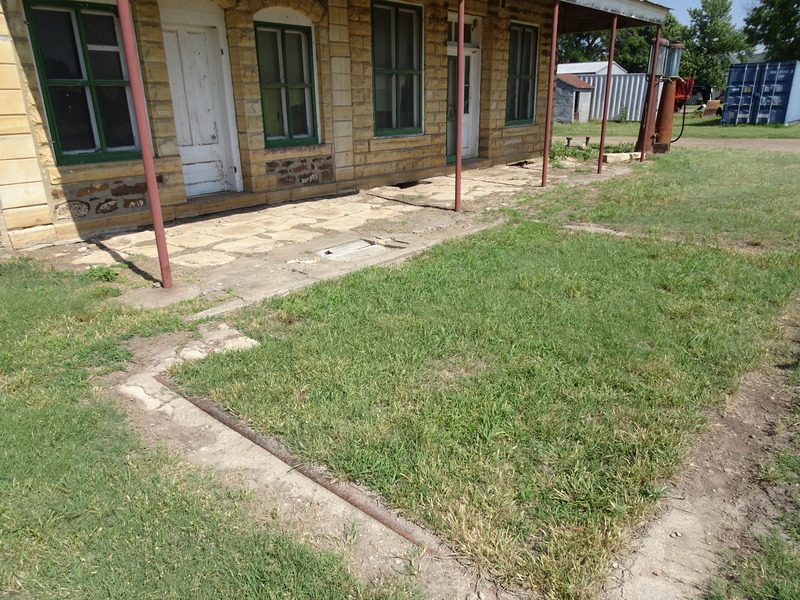 Mr. Farmer is going to spray the horse corral and needed the round exercise pen taken down. 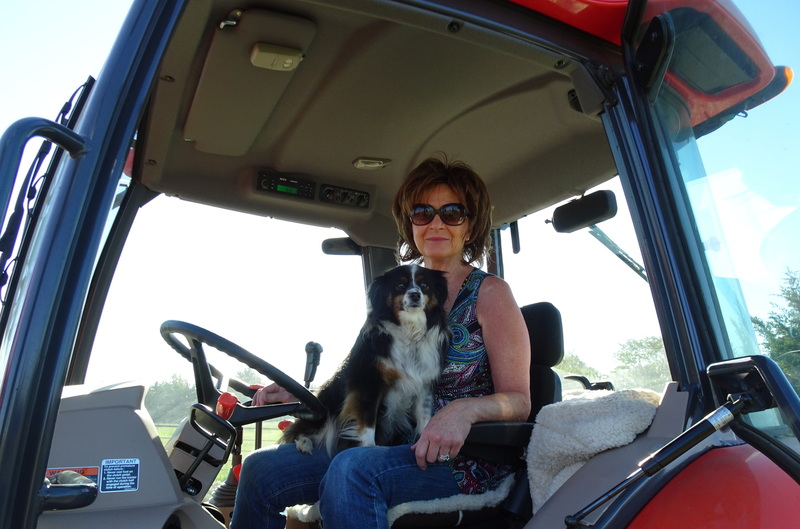 All he has to do is ask Wylie if he wants to get in the tractor, it’s Wylie’s favorite. Mr. Farmer designed a seat for him that wraps around my seat, so he has a space all the way around the back of the tractor. I’m always ready to help out as the tractor has a climate controlled cab☺ Please don’t let me drop all of the panels! Even with his designer seat, my lap is still his favorite place! 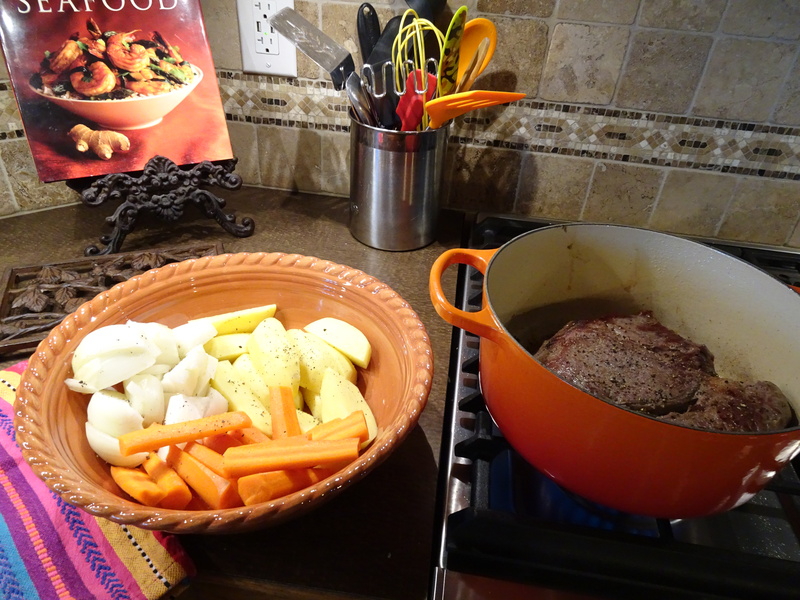 I just put a pot roast in, lunch is at 12:30 if you can make it! I see leftovers in our future. Hash, bbq beef sandwiches, enchiladas……….makes for quick meals. 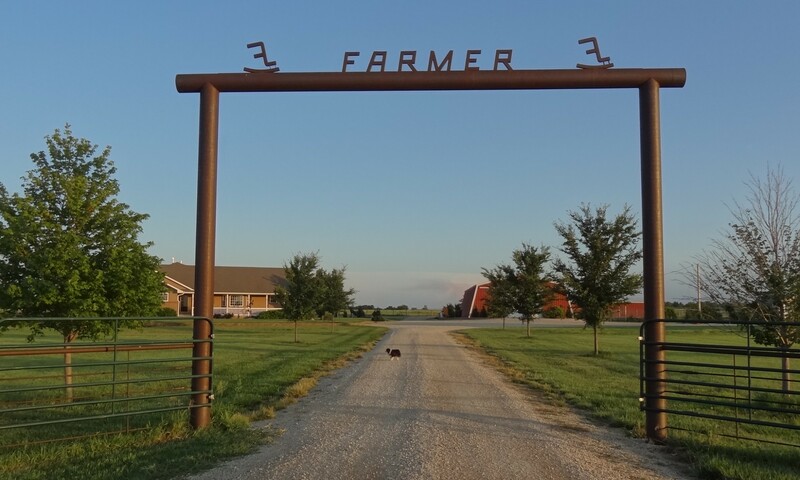 This entry was posted in On The Farm and tagged Kansas on June 5, 2016 by Debra Farmer. Finally a week without rain, they were able to cut the brome today. Unlike alfalfa (and the yard! ), which you can get multiple cuttings, brome is only cut one time. 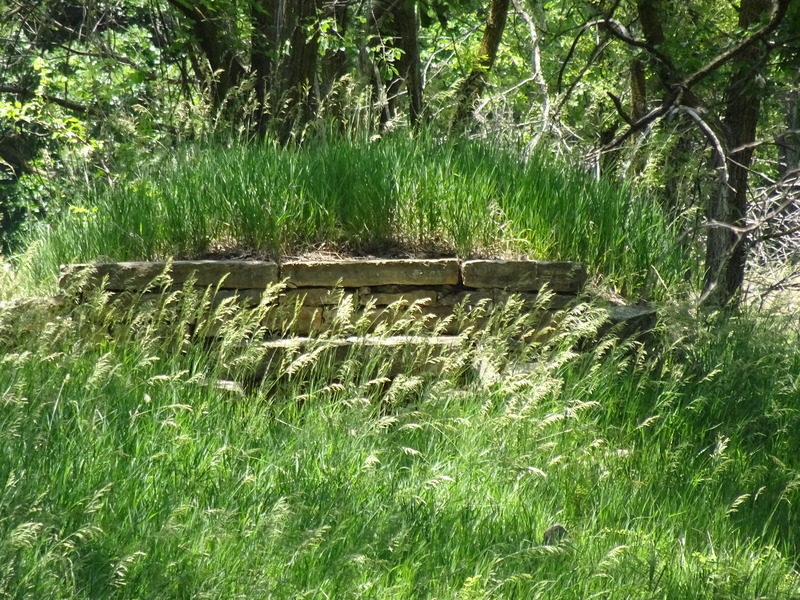 I’m going to miss the tallgrass, it provided a shelter for my butterfly garden. The hay is left to dry for a few days, then it will be baled into large round bales, with the Kansas winds it will dry quickly. 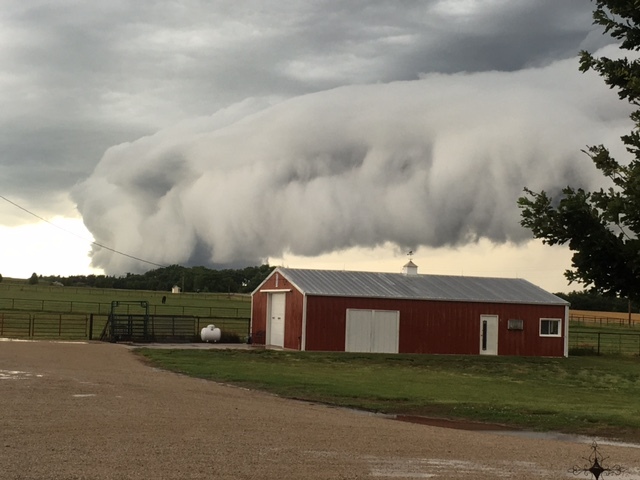 This entry was posted in On The Farm and tagged Kansas on June 4, 2016 by Debra Farmer.